In Morocco (by skin of teeth), and Wk12 Diary – Do your dream! Our week 12 diary has been uploaded HERE which ends the night before the Morocco section of our trip. We were very lucky to get across, the crossing was VERY rough and about 1/2 the people on board ejected their breakfast (including Mel) – and the van was chained down and I’m surprised there was no damage. All subsequent sailings were cancelled and, apparently, only one or two have made it since…. So far we’ve had a lot of rain, but as I post this (yeah – Morocco has 3G Internet!) 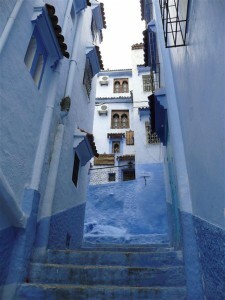 we are in Chefchaouen and the sun has come out! What an awesome day or two so far – seen so much more than you’d ever see in Europe, it really is a different continent. About 5 serious accidents on the 50km drive here, all very recent, lorry rolled, car rolled, 4×4/car crash and 2 busses crashed – along with animals along the road. 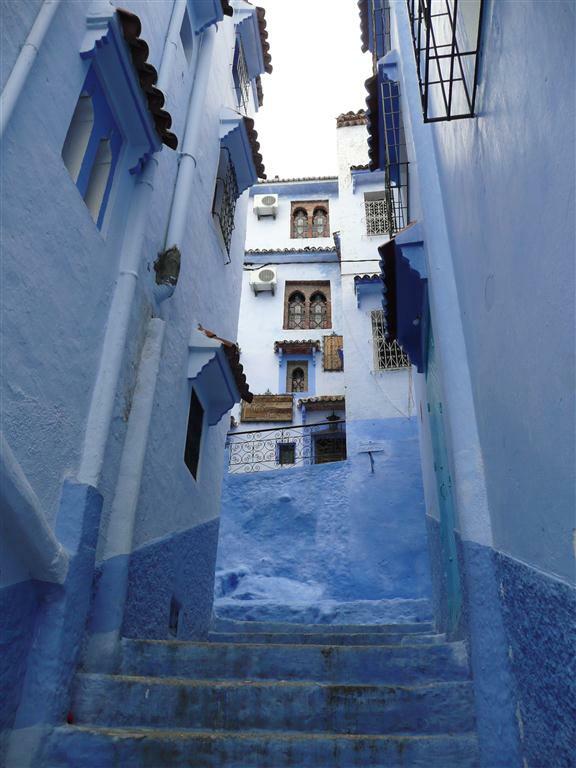 Chefchaouen is so original and non-touristy and stunning – we feel privildged to be allowed to see the native Moroccans way of life. Though we were offered hash by soooo many people!